Helsinki was founded at the mouth of the Vantaa River in 1550 by Gustavus Vasa. The Swedish king, who also ruled Finland at that time, established the settlement as the trading center for all of Finland and a competitor for the Hanseatic League city of Reval (now Tallinn, Estonia). The choice was not a good one, and new Helsinki was founded in 1640 3 miles to the southeast of the old town in order to have better access to the sea.  Gradually the lold town fellinto a state of disrepair and decay, until by the time Lars Forsell drew his map in 1696, much of the town had disappeared, and he had to use older records and his imagination for his plan of the old town. The town of Hämeenlinna is the capital of the province (Lääni) of Häme in southwestern Finland, on the shore of Vanaja Lake, northwest of Helsinki. Both the province and its capital derive their names from the castle of Häme which dates from the middle of the twelfth century. Hämeenlinna was chartered in 1639. It was first located north of the castle, but in 1779 it was moved south to itts present location. Among the landmarks of Hämeenlinna are the castle, renovated in 1979, the church which dates from 1798, the Renaaissance-style town hall, and the birthplace of Jean Sibelius. 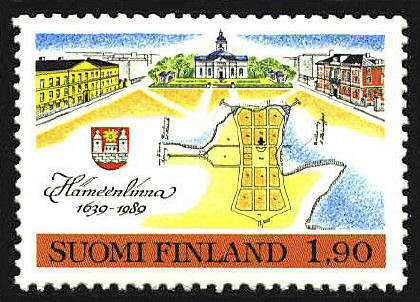 The town plan is of Hämeenlinna , while the background shows the layout of the town square. 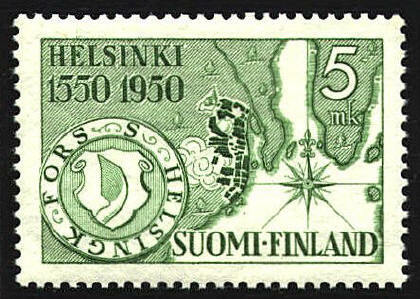 The coat of arms of Hämeenlinna is also shown on the stamp.